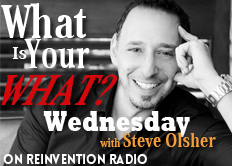 Mary steps in for Steve in this episode and talks with Richard about how going with your gut can help you uncover your WHAT. They address the question of whether we are born with our WHAT or whether it evolves over time. Mary believes we have within us what we’re going to do in our lifetime.